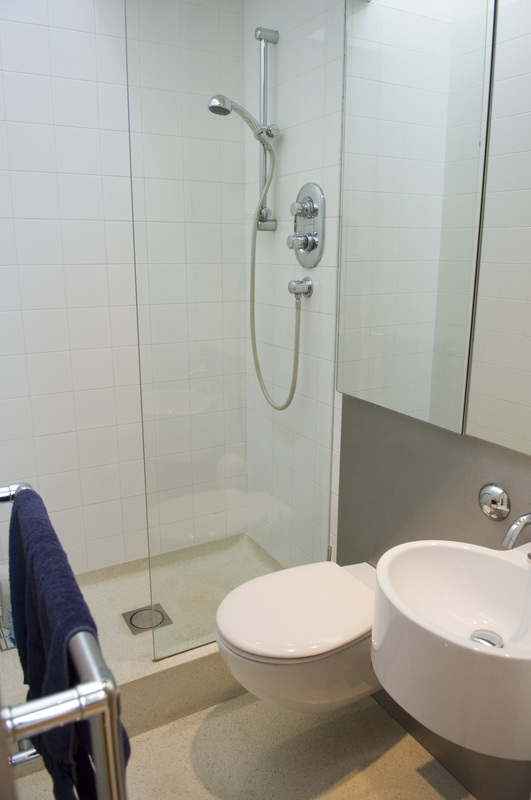 Wall mounted toilets and wash-basins increase the feeling of space in the room. They are also hygienic, making floor cleaning a lot easier. 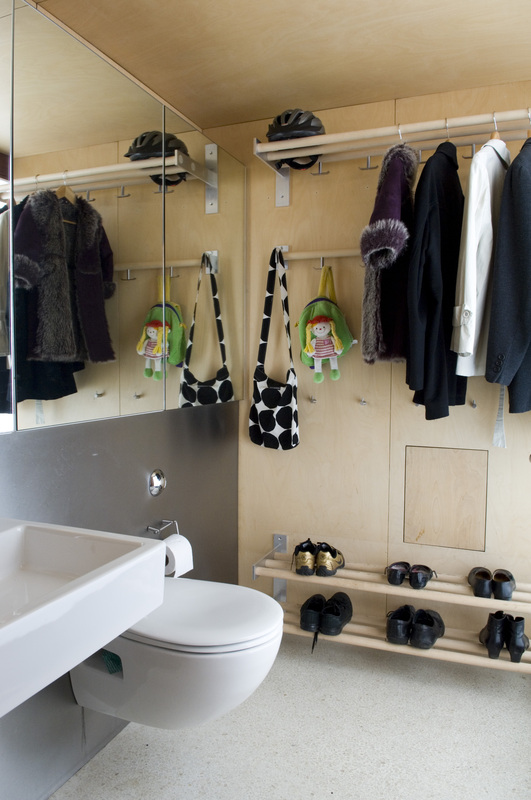 Use the space above the concealed toilet cistern to provide cupboards for stowing away unsightly bathroom necessities. Double-ended baths always look elegant as well as being good for sharing and for bathing a number of small children. Large, boldly sized mirrors increase the sense of space in a small bathroom. Tiling the walls full height throughout may, in some cases, make the room feel cold acoustically and physically. Tiling to dado height (say 110cm) will be sufficient for hygiene and cleaning purposes. Provide an inline fan to the extractor system where possible. This entails locating the fan remotely from the point of extract (e.g. in the attic as opposed to the bathroom ceiling), thereby minimising noise when the fan is in use. Less noise means you will be more inclined to use the fan with a resulting reduction in condensation. 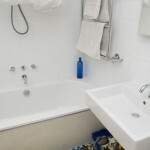 A warm bathroom will be more inviting, especially in the morning. Consider a hearted towel rail, which may be operated electrically in Summer and on the central heating system in Winter. 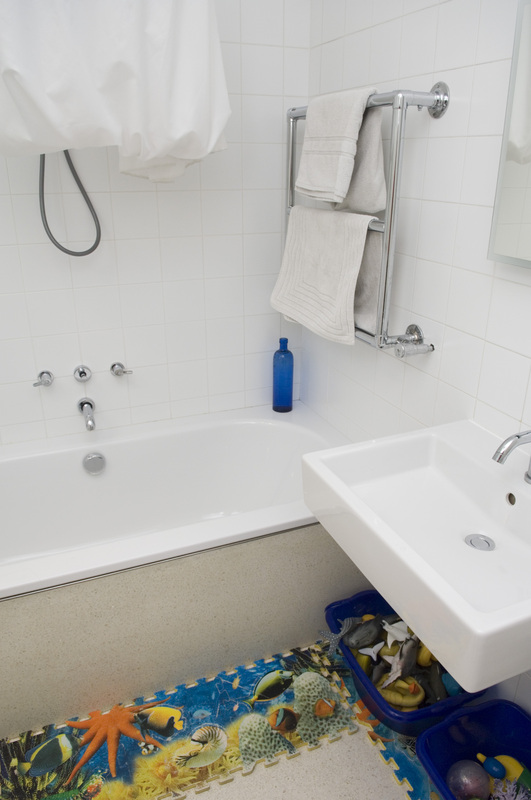 Underfloor electric heating may be provided easily to small areas like bathrooms and will solve the coldest of rooms. Make sure to provide a timer so as to control costs. Materials: white terrazzo floors, white sanitary ware, mirrored doors to storage cupboards, matt white tiles or stainless steel splashbacks. Make sure you provide hinges of sufficient strength and quantity when using mirrored doors, they are fairly heavy . Guest Bathroom/Cloaks: 1.5 x 2m. Family Bathroom: 1.75 x 1.7m (excluding entrance area, Linen Press and storage above WC and whb). Ensuite: 1.75 x 1m (excluding storage above WC and whb). 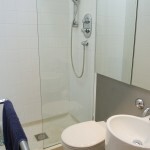 We provided an inline fan to the main bathroom but not to the ensuite. A regret every morning! The shower in the Family Bathroom is currently over the bath: we’ll need to accommodate a shower ultimately.